We are trying to get young and older children to put their rubbish in the right bin and get people to understand what happens if you don’t. You and your parents need to know what happens to the junk if you put it in the wrong bin. 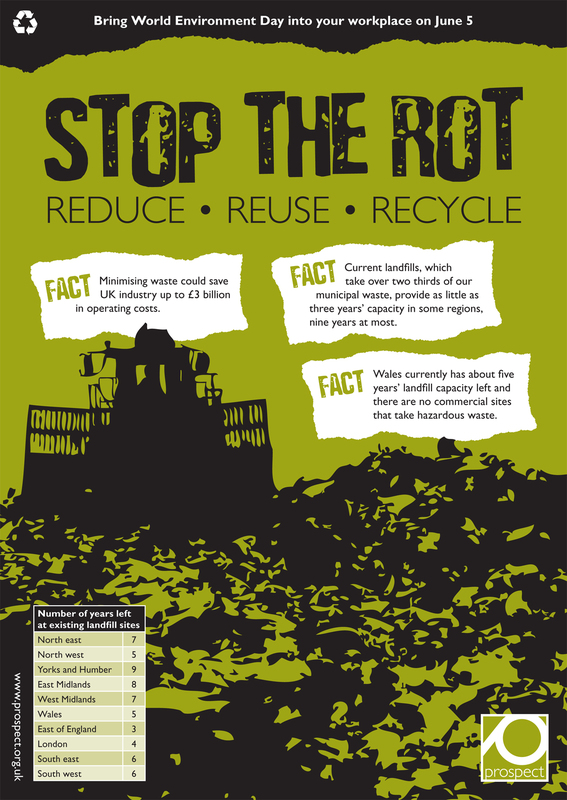 The rubbish goes to landfill and that is bad. Landfill is terrible because it is they build a whole and put all the junk that YOU put in there. It creates a whole in the atmosphere and the sun heats the earth. Me and two of my classmates, Gemma and Erin went to four classes in the school. We went to the following classes, RS, 2A, 4B and 6CA. My personal favourite was RS (the youngest year) we told them all about what to put in the compost bin. 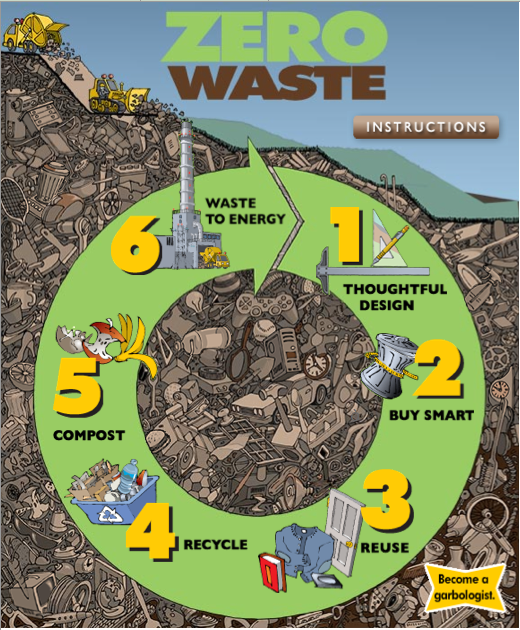 All food wastes such as apple cores, banana skins and orange skins. Landfill sites and how the pollution is affecting the world is another fact that we told them. 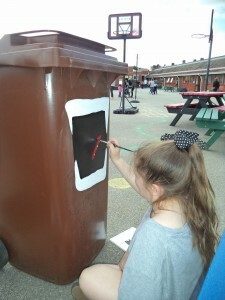 Each class got a composting bin and in the playground I have recently seen pupils doing the composting job. It was fun to go and visit all of these classes and educate older and younger children about composting. 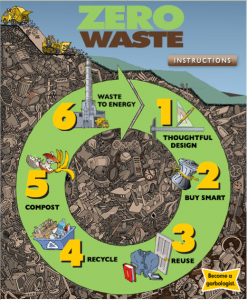 Composting is great for us to do as well as recycling, as the landfills are decreasing their sizes, that means that pollution is not flowing through the air as much. We are helping save the Earth by saving the ozone layer which protects us. 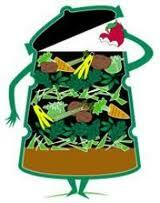 If you are not composting now then it is best to start sooner than later. If you start than in your heart you will know that you have done a good deed. 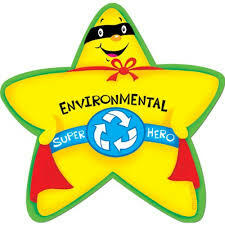 START TO BE A ECO HERO TODAY! Year 5L DID SOME ECO WEEK STUFF, and some kids were told to do a speech in groups of three. Our groups went to all the classes in the whole school and gave the classes compost bins . You might be wondering why do we compost? We compost to save money, save resources, improve your soil and reduce your impact on the environment. Adding compost to your garden will not only fertilize, it actually feeds your soil with a diversity of nutrients and microorganisms that will improve plant growth. Chemical fertilizers on the other hand provide a quick burst of a limited number of nutrients that can wash away into our rivers and streams. Compost also increases soil stability, improves drainage and helps retain moisture. No need to buy chemical fertilizers. Compost is free! The nutrients from compost are not washed away by rainfall. No waste! and good for your environment. At Delapre I did a talk with reception and year 3 with two other people. It wasn’t very long but it was long enough to tell you lots of facts and a little Peppa pig video about composting at the end. It was all about composting and they all found it interesting. They asked us so many questions and the little young ones needed a adult with them to empty the bin. It really helps if everyone knows about it. At school we are learning about Eco school and haw we need to help the world. 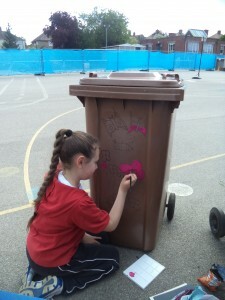 Some people in my class went around our school giving people a compost bin so they can recycle food rubbish into a larger compost bin in the playground. All classes have a compost bin in their class and they are using them. We are encouraging children to put their waste like banana peels,apple cores and out of date bread in their compost bin that is in their classroom. A qroup of children from 5L went to different classrooms to talk to other children about why we put our waste in our compost bins. A landfill is a place where there is rubbish that people don’t want to keep any more. They also put black bag and it is not recycled. In 5L we set up a group of 4 children to go do a compost talk to different children. Unfortunately, we had to stop sometimes and let other groups have a turn but I didn’t want to stop. After we had finished at the end of the day people started to say thank you but I realised why when I got home. 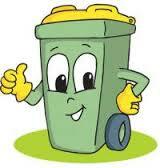 Some people may not of known how to compost and now they do so in some way I have helped them. 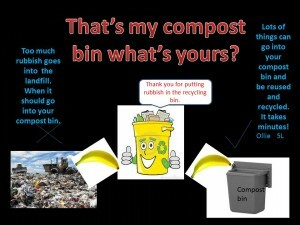 I have enjoyed the compost talk because I got to help people learn how to recycle and it has helped a lot of children within the school. A few weeks ago I did an eco talk with Martin (5L) and Tyler also from 5L. We were talking to one of the reception classes. We talked about things like when they should empty the bin which is every day prefrably at lunch time. Another thing we were talking about was that it is their (the children) responsibility to empty it, make sure it is clean and to make sure the contents go in the brown bin outside.